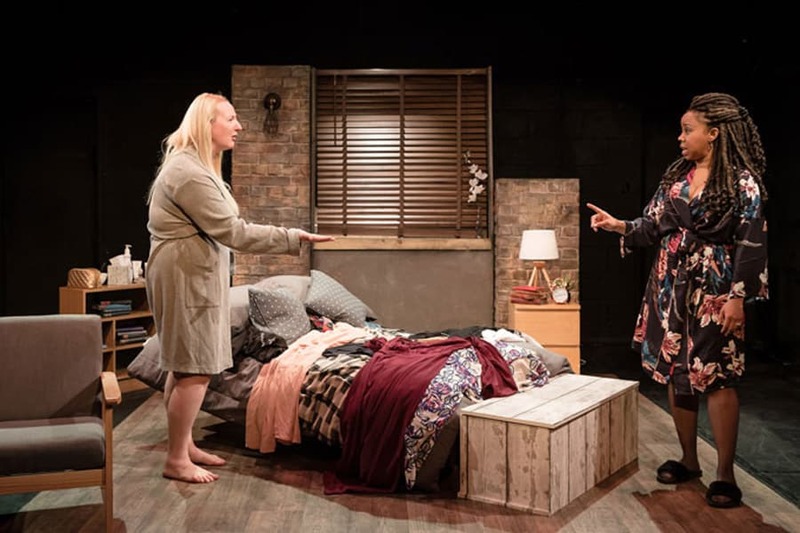 Sophie Adnitt reviews Liane Grant’s drama Half Me, Half You now playing at the Tristan Bates Theatre, London. As an interracial gay married couple, New York residents Jess and Meredith are only too aware that Trump’s America is far from an ideal place for them. 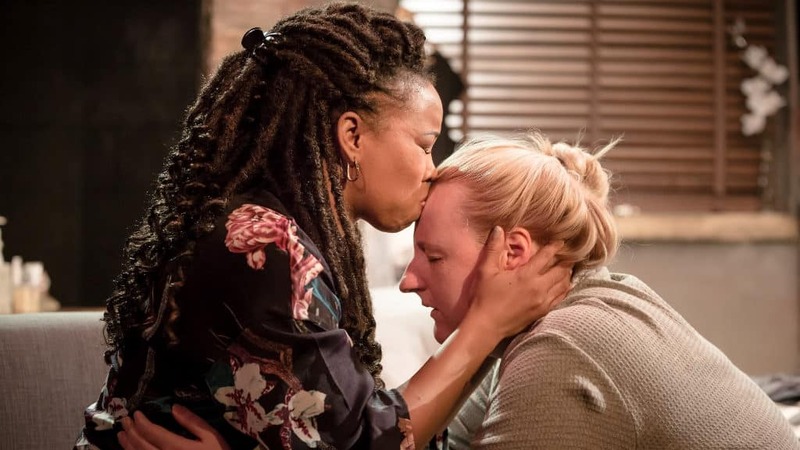 Liane Grant’s drama Half Me, Half You takes this fear as a starting point, but for the first half of the play seems to do very little with it. For the first act, set in the couple’s flat in 2017, Trump is kept largely to the sidelines, bar a few disdainful references. The issue of current American politics only comes to a head late in the act, after a long argument that has a tendency to go around in circles between the women about Meredith’s reluctance to have children – partly for personal reasons and partly because of the uncertain world they’d be bringing a child into. It’s an intriguing concept, but the narrative too quickly backs away from it, resorting to accusations of selfishness, and bickering over the concessions and compromises made for love. Tension builds well here, but for a piece with such topical potential, the first act reverts to a domesticity that doesn’t suit it. The second act is set sixteen years into the future and this is where things get very interesting. The world has changed, America has gone through a second civil war, gay marriage laws have been overturned and the country is still reeling from the changes. Meredith has been given responsibility for Jess’ adoptive daughter Maya, a mixed-race teenager living in a post-Trump, post-Brexit world and with access to information on all its injustices (“I read.” Maya remarks snippily at one point). There are a couple of unobtrusive, yet clever references to the fact that technology has (of course) moved with the times and Meredith and Maya discuss the civil war with a level of general detail that seems realistic for people who have lived through its lifetime. They briefly discuss the future and it’s heartening to consider that even after turbulent times, things can improve again. This future setting is fascinating and really should have been explored further. Grant’s dialogue is most absorbing when her characters deign to speak civilly to each other. The arguments that both parts of the play ultimately descend into discredit otherwise eloquent writing. Intrigue is created, but answers and information come too late and at that point, it’s difficult for the audience to care. The play touches on the issue of people’s beliefs – how long will they hold on to a belief when it starts to affect them personally? This is one of the many questions that Half Me, Half You raises; Maya’s school studies the Trump administration for their History GCSE – how will future generations look back on this era? How will children born now be affected by the decisions their parent’s politics make? But unfortunately, the pacing is far too slow to maintain this debate and this already overlong play often drags. Long pauses where characters fetch things from offstage verge on awkward and things aren’t helped by the Tristan Bates as a performance venue; the room itself absorbs and kills the vocal sound, noise frequently leaks in from the rest of the Actors Centre and there’s a near constant static buzz throughout from somewhere. Among the small cast, Toccarra Cash as Jess is fantastic from the moment she walks in. Even with the venues acoustics issues, every word she says is crystal clear, and as the emotional heart of the production, she goes a long way to redeem it with a captivating presence. Laura Shipler Chico as Deb (Meredith’s friend? New lover? it’s never made totally clear) is another highlight, all chipper energy and loaded glances. Ultimately, Half Me, Half You has great potential for boldness but seems over cautious about fulfilling it. Packed with interesting ideas that are drowned out by simpler routes of domestic drama, it could spark something greater than itself that the play, frustratingly, never quite reaches. 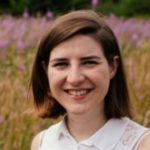 Sophie Adnitt studied Drama and Creative Writing at The University of Winchester and starting writing reviews for an assignment in her second year. She has a keen interest in many forms of theatre, from large scale musicals to Shakespeare, and is a regular groundling at The Globe. Between performing and working front of house, she’s been around theatres for most of her life (the tricky part is getting her to leave). Outside of theatre, Sophie enjoys alternative rock concerts, classic TV comedies and walking her dog.